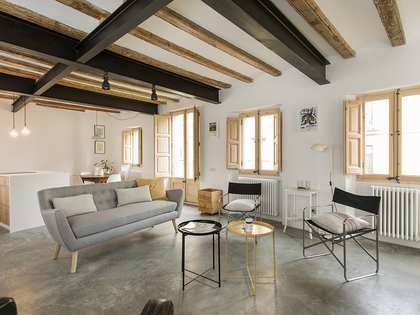 This property is part of the Born Boutique Lofts. 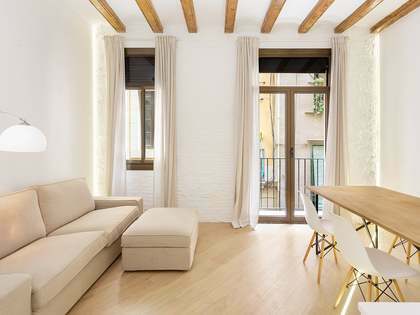 5 chic 1 to 2 bedroom apartments with functional and luminous living spaces, tucked away on a peaceful sidestreet of El Born. Newly built and move-in ready with minimalist features, quality appliances and touches of understated sophistication. 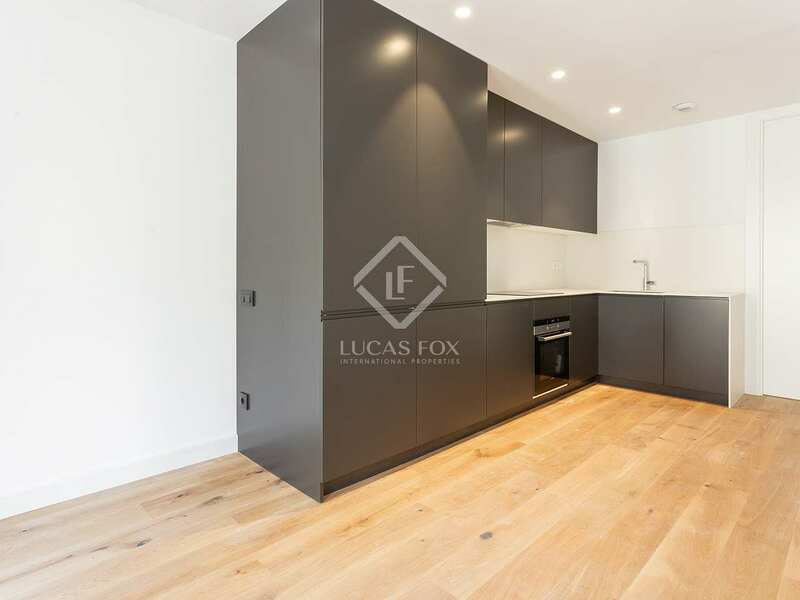 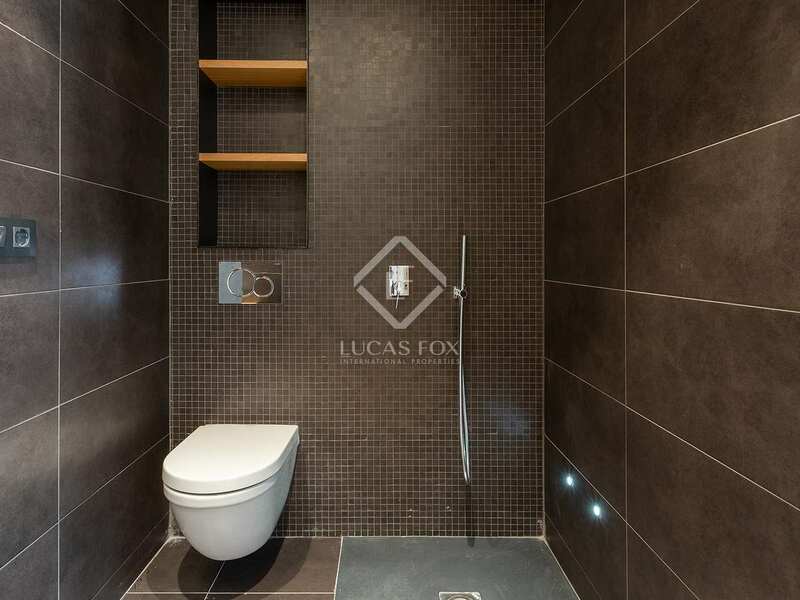 Charming 1 bedroom apartment for sale in the newly developed Born Boutique Lofts. 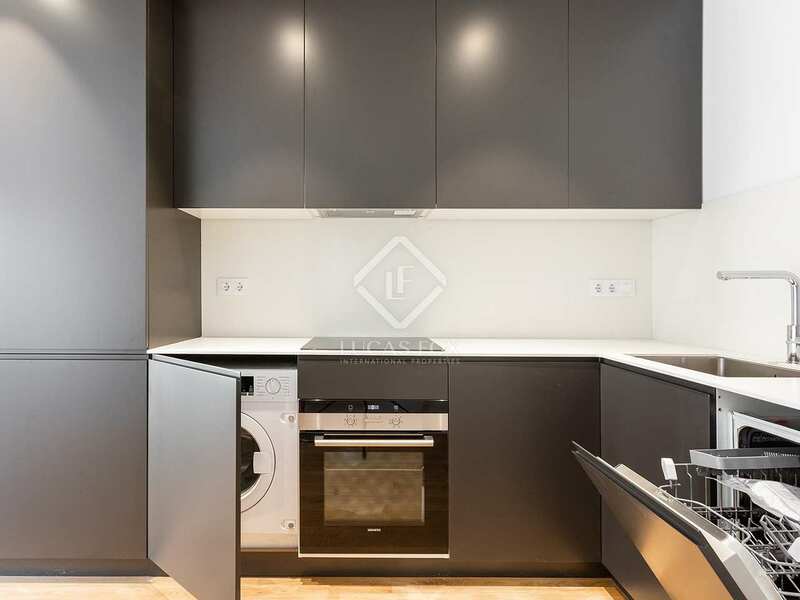 This 1 bedroom, 1 bathroom apartment is located on the second floor in the exciting new development Born Boutique Lofts. 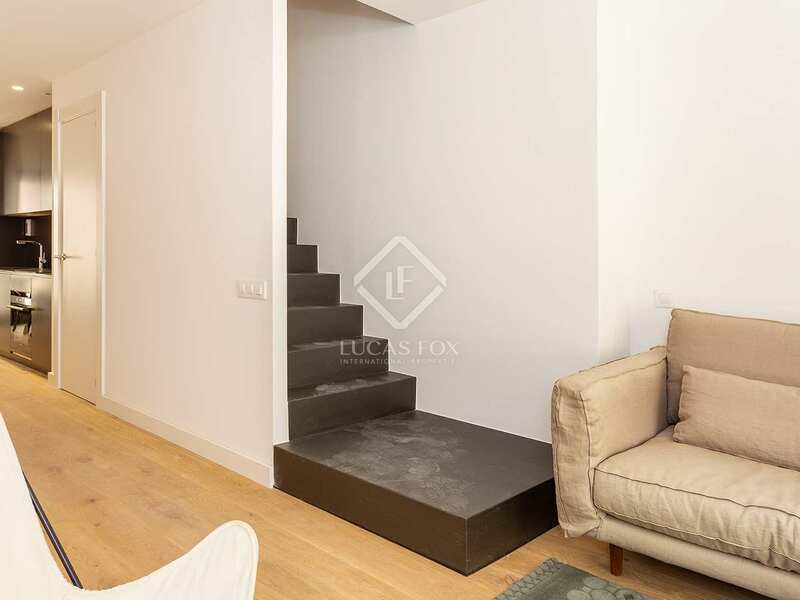 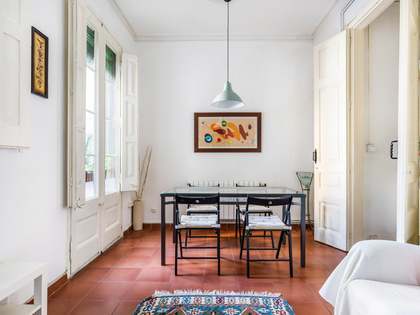 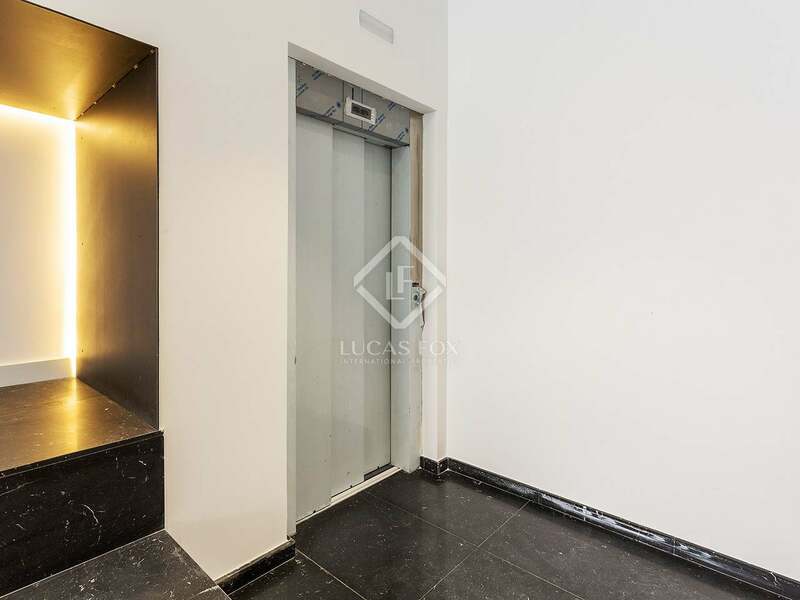 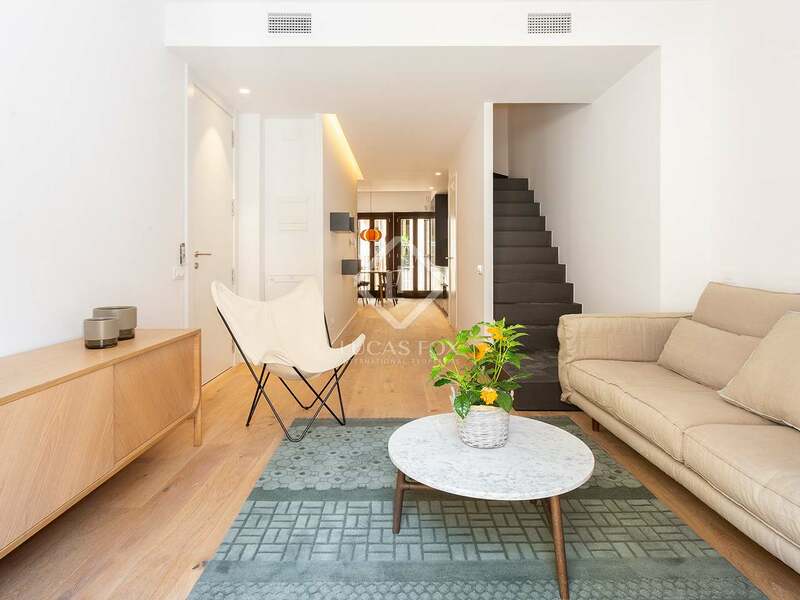 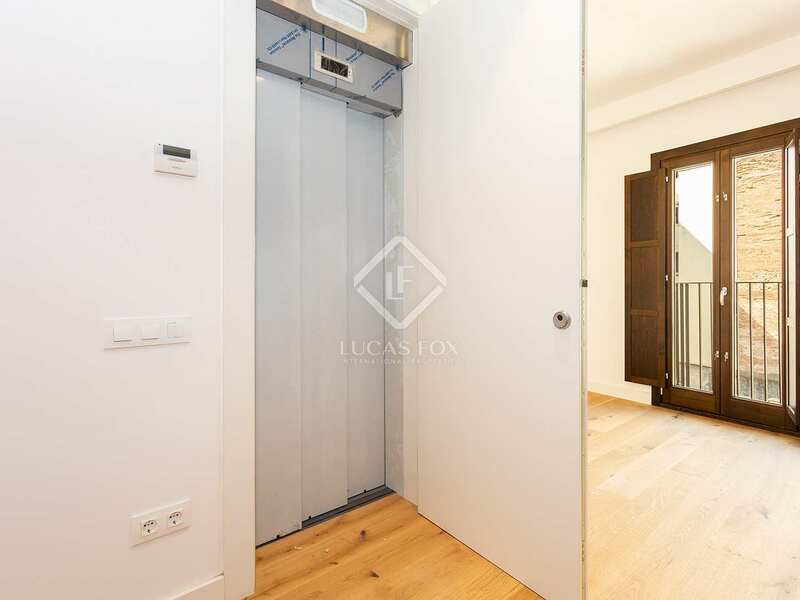 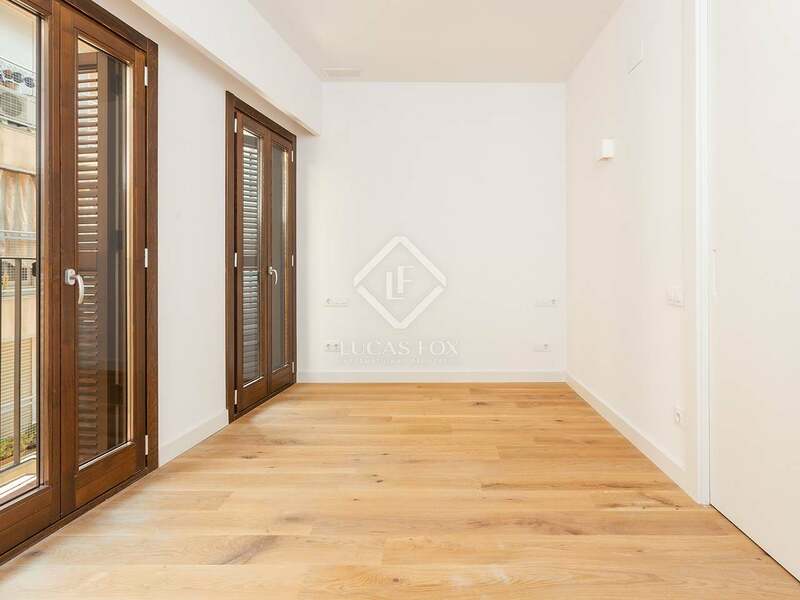 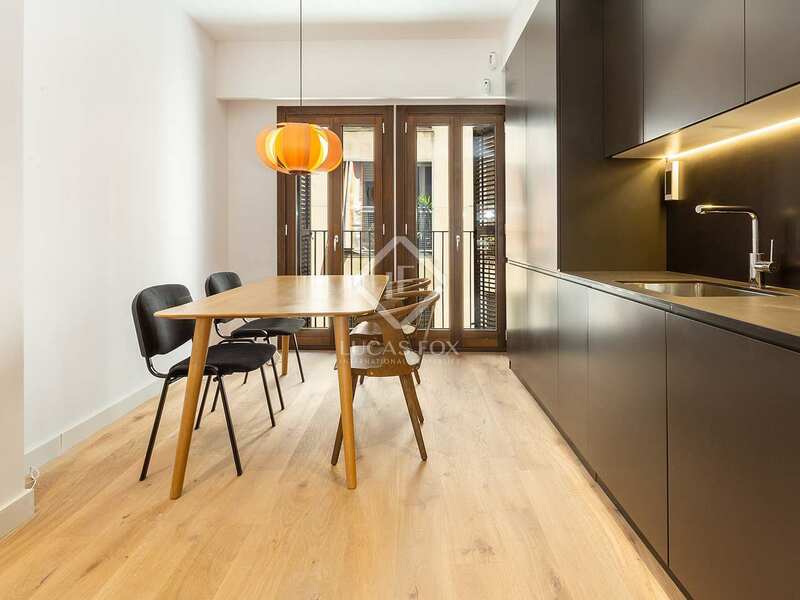 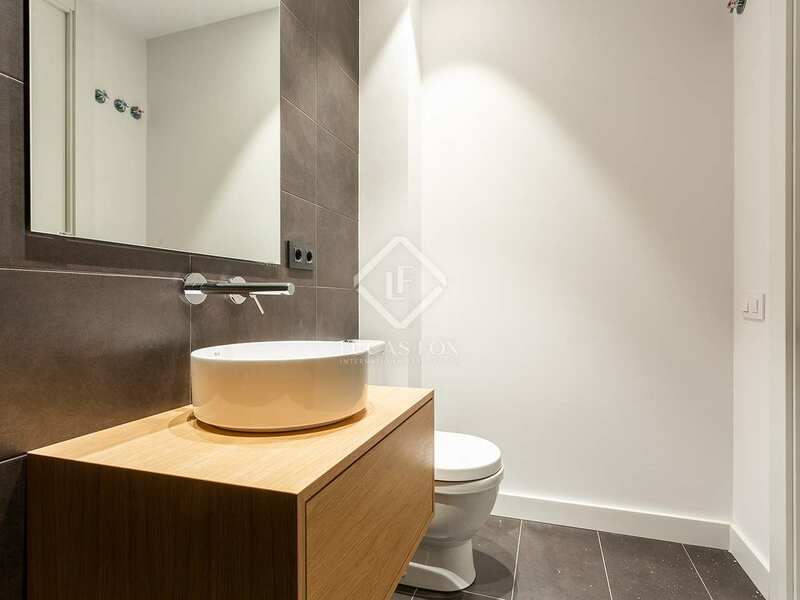 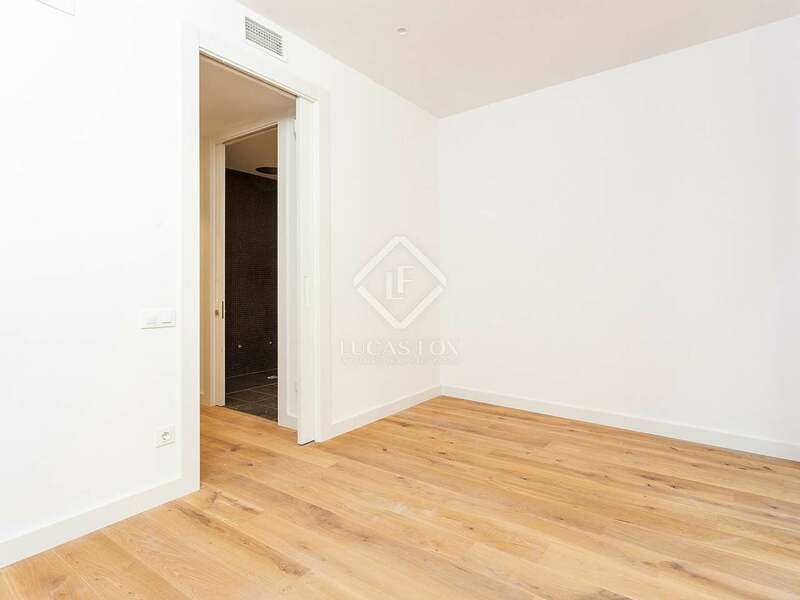 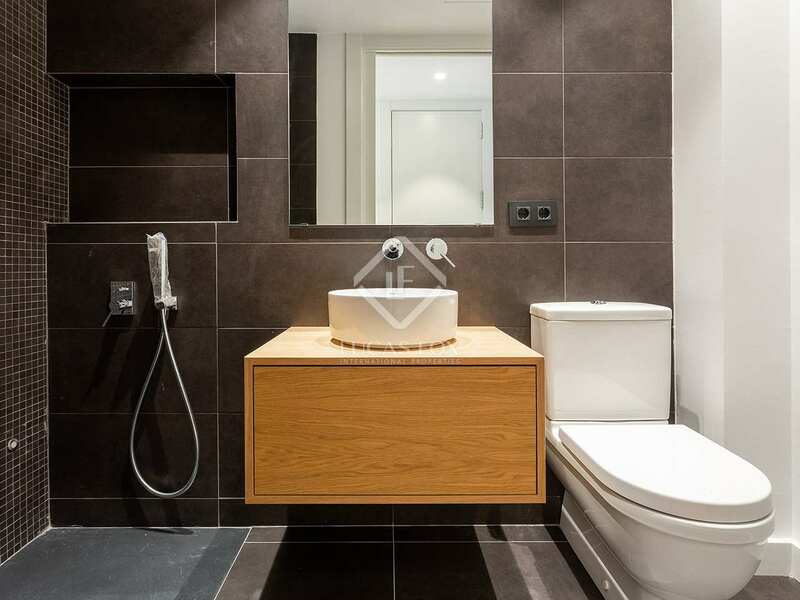 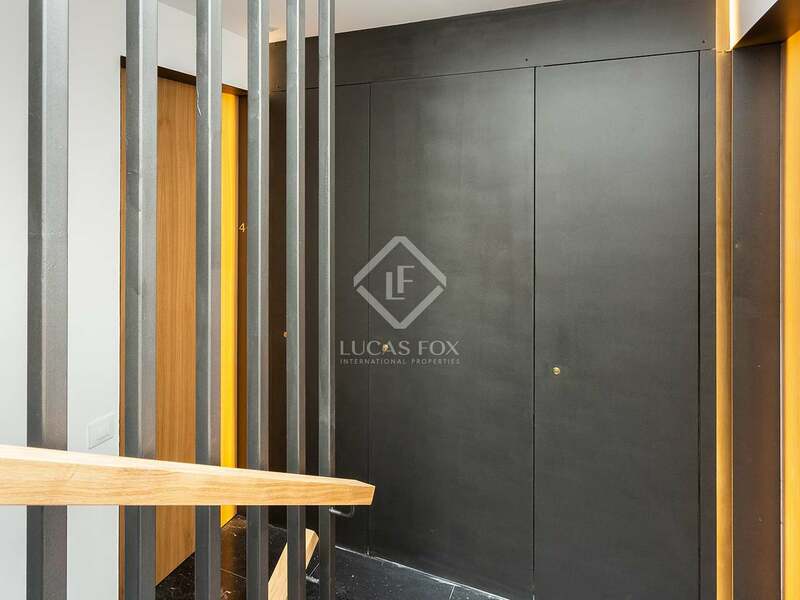 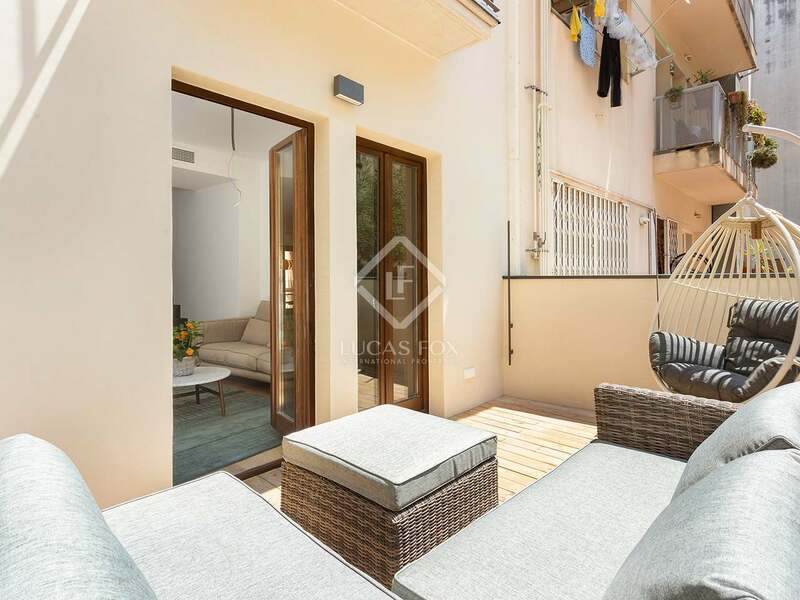 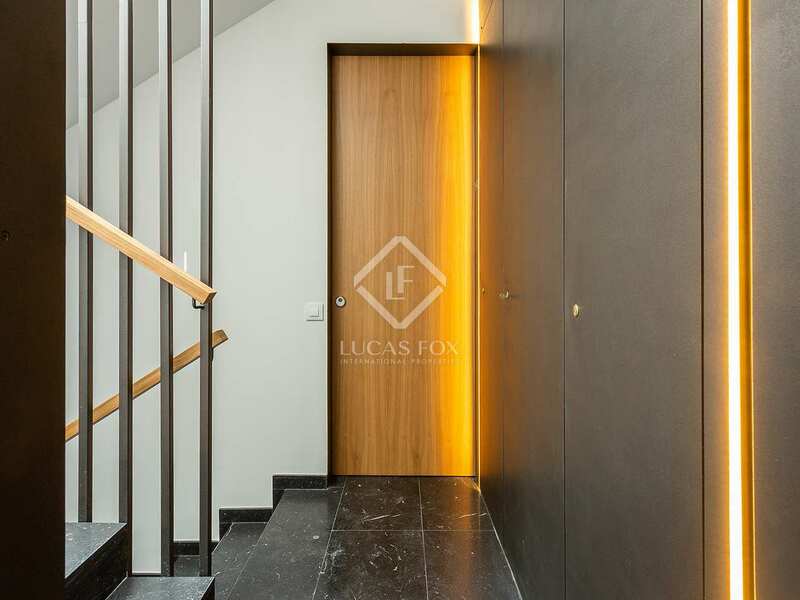 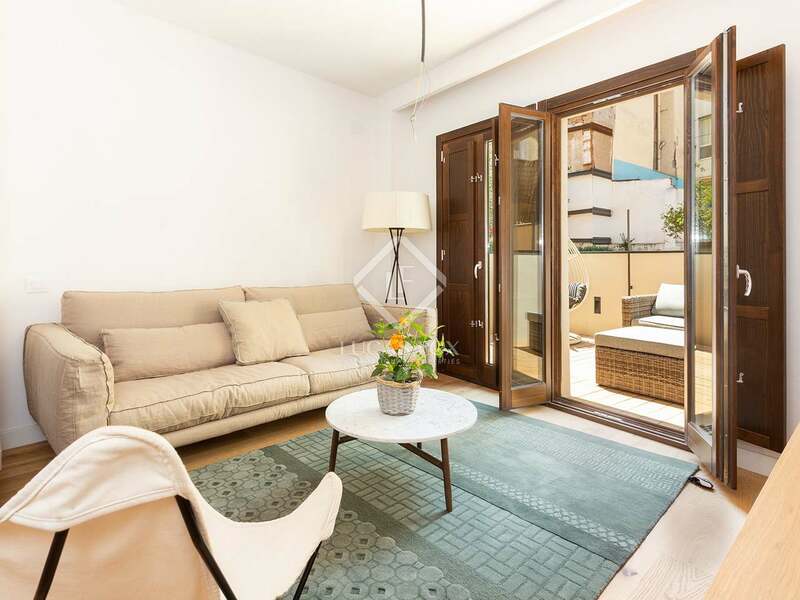 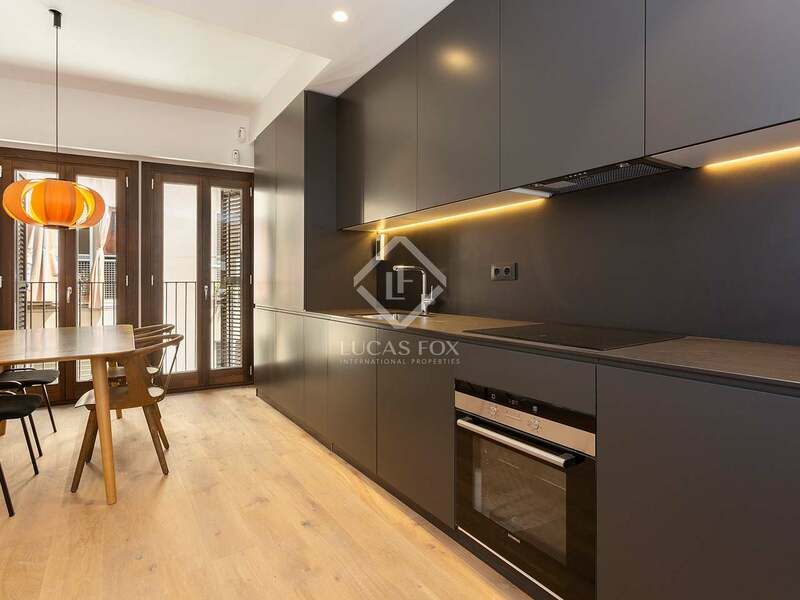 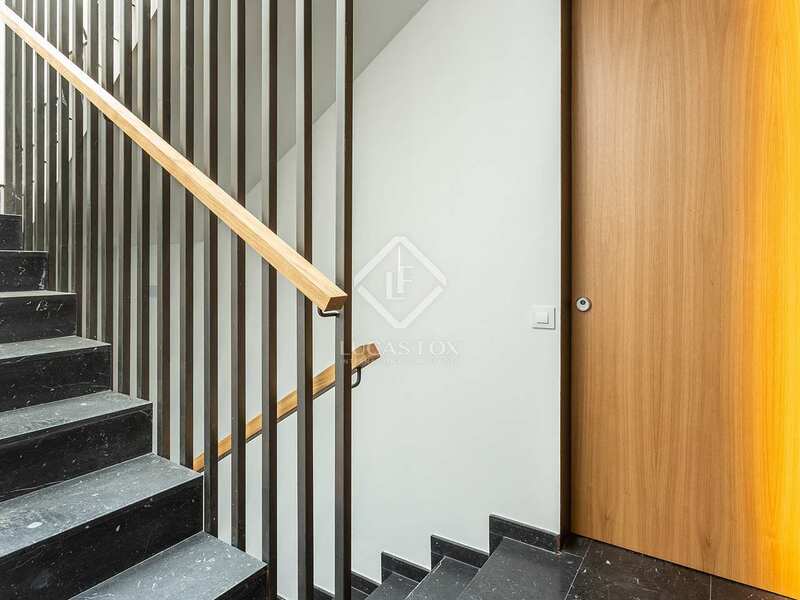 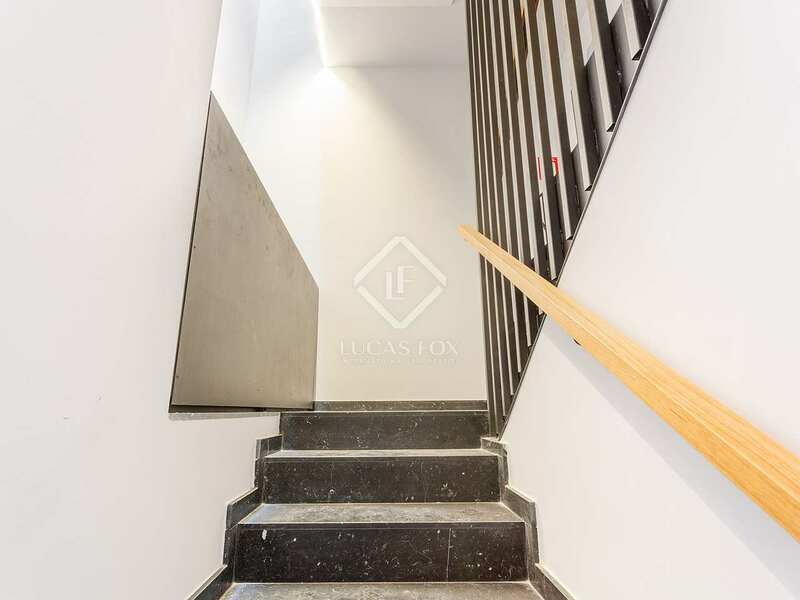 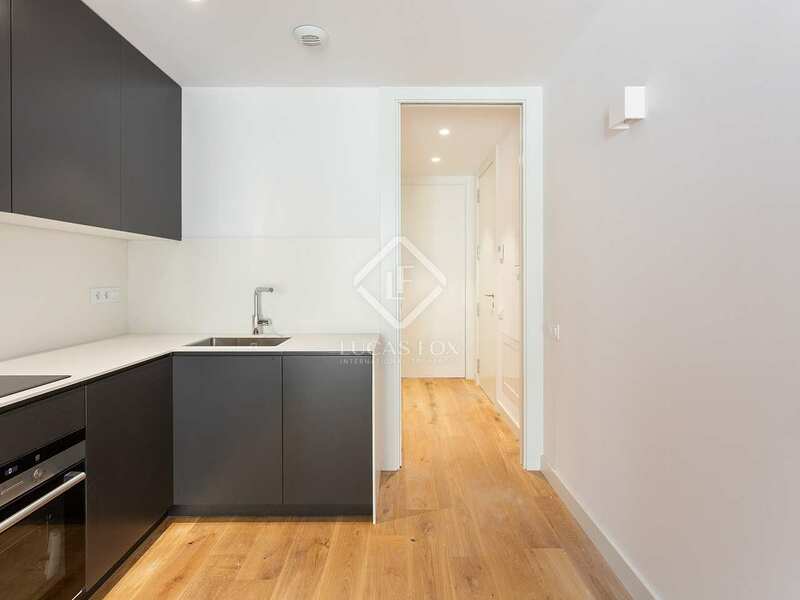 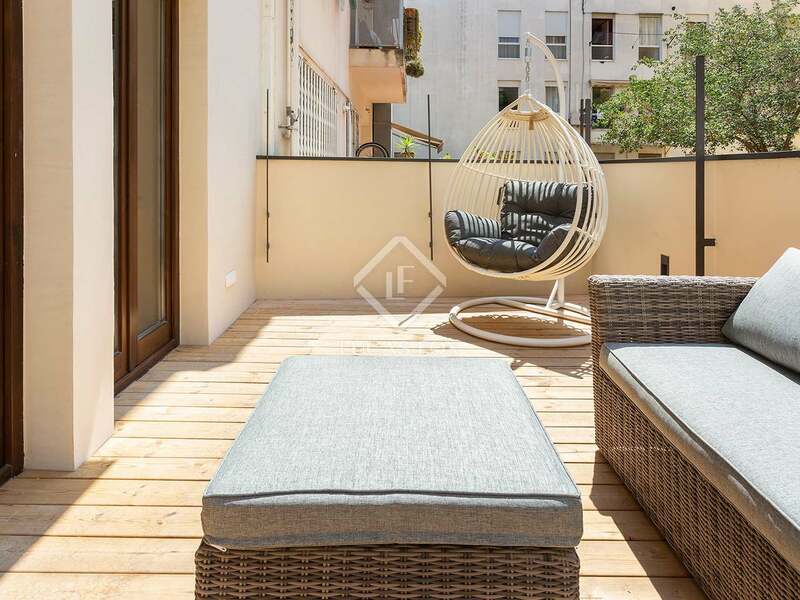 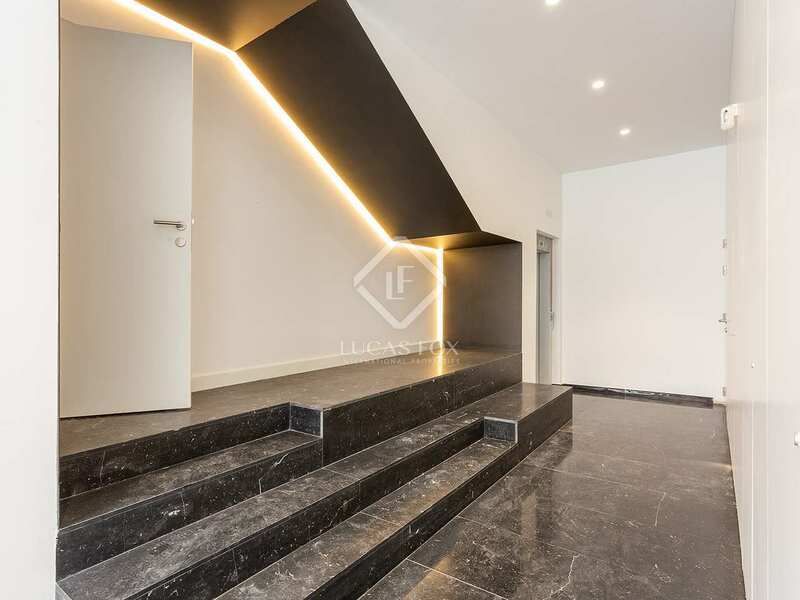 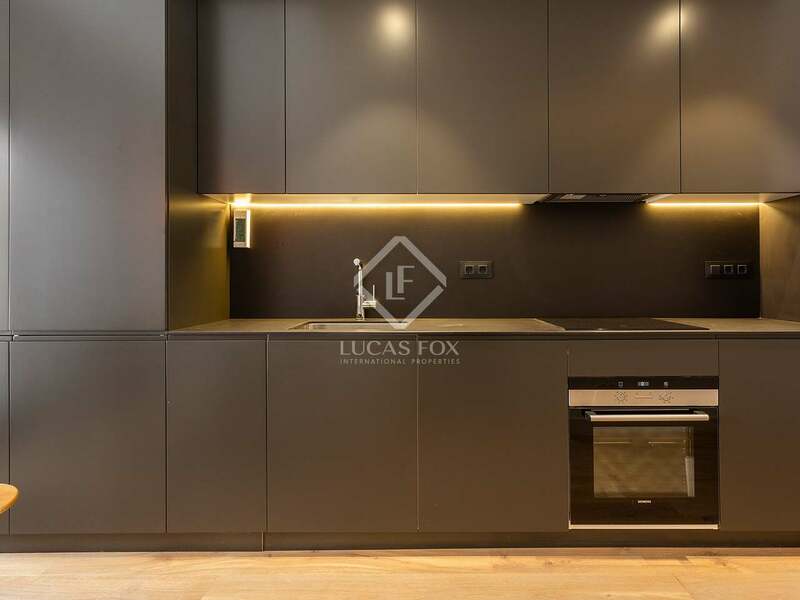 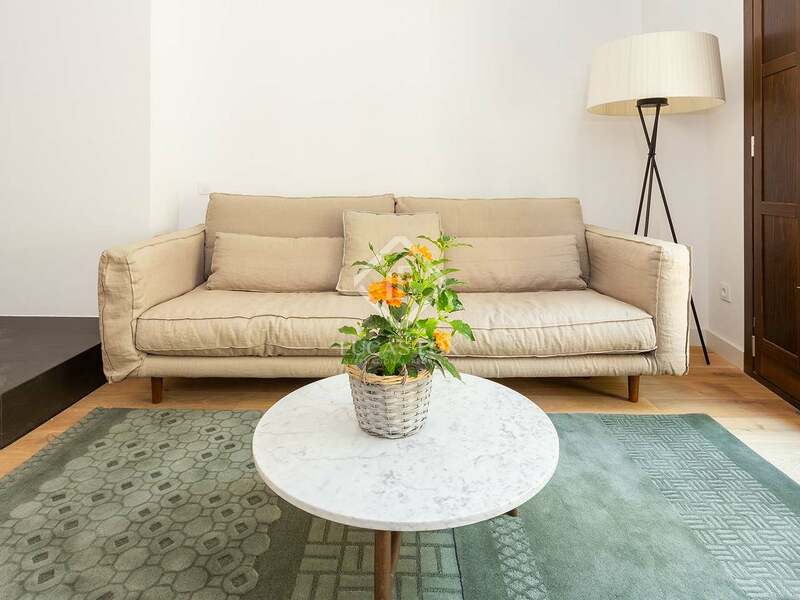 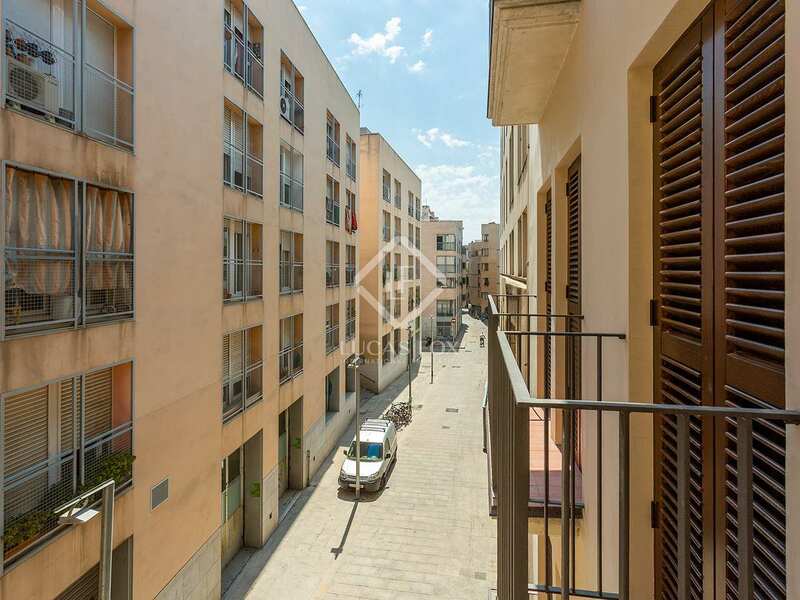 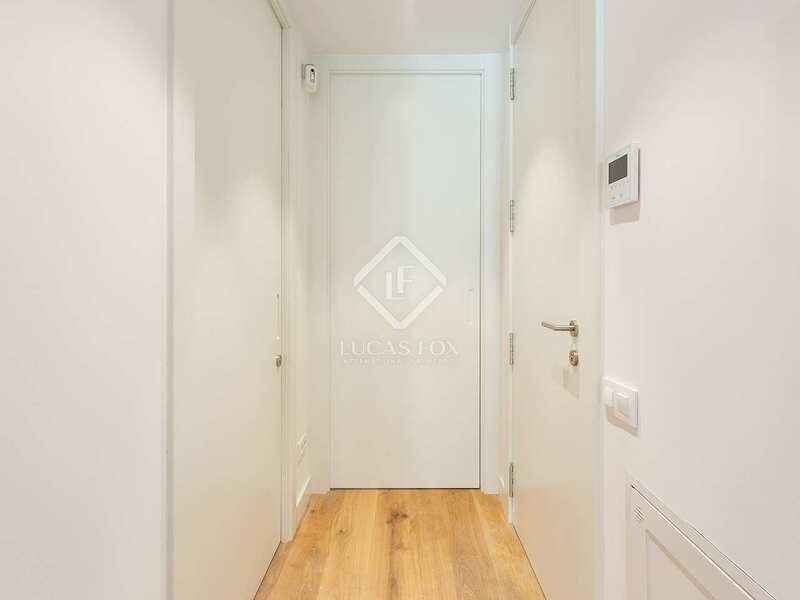 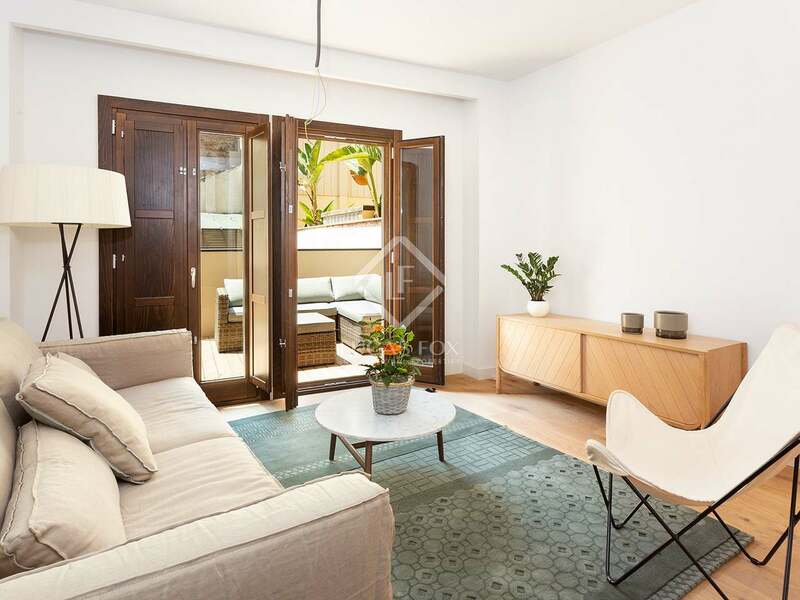 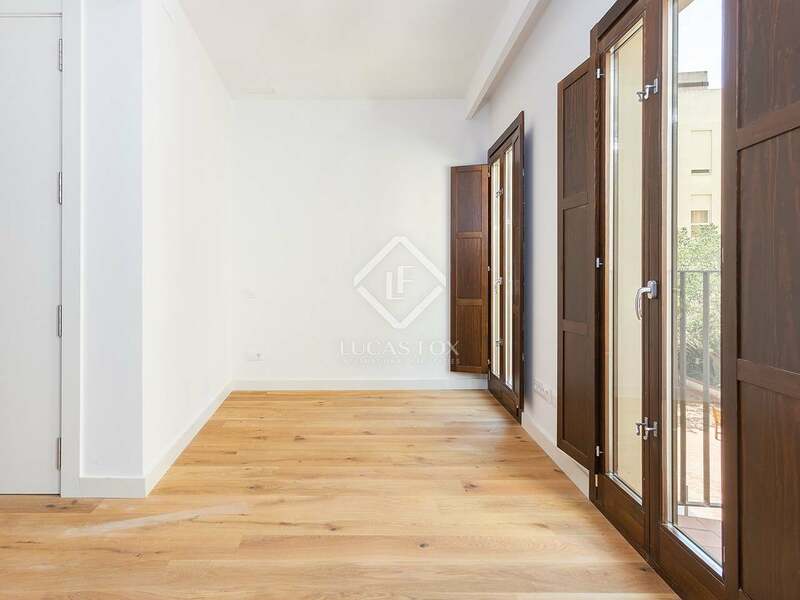 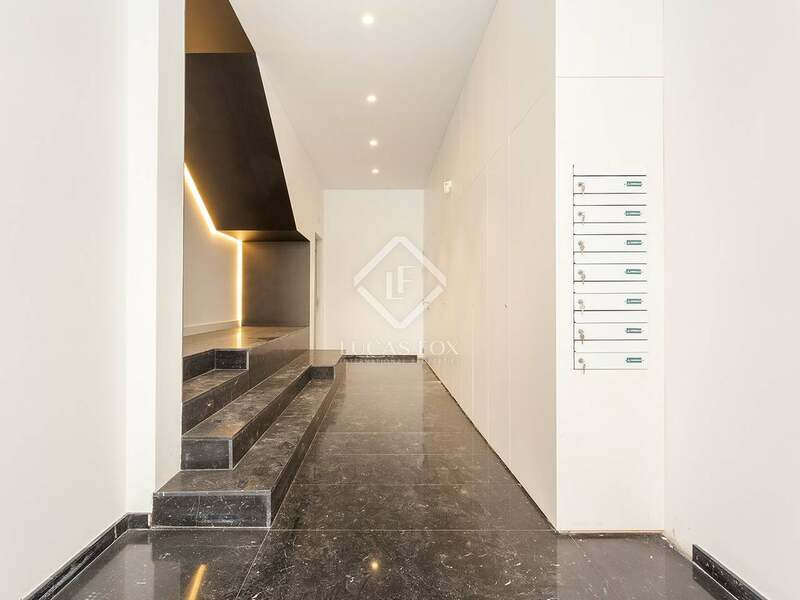 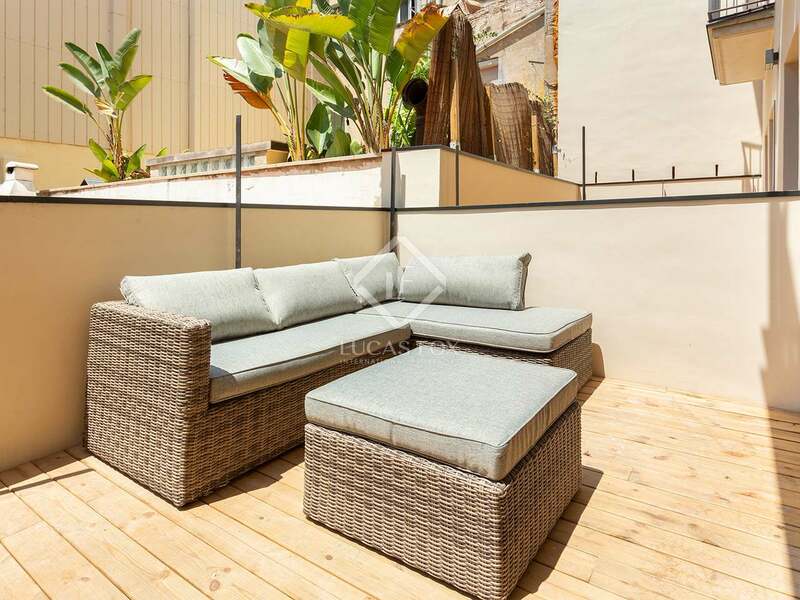 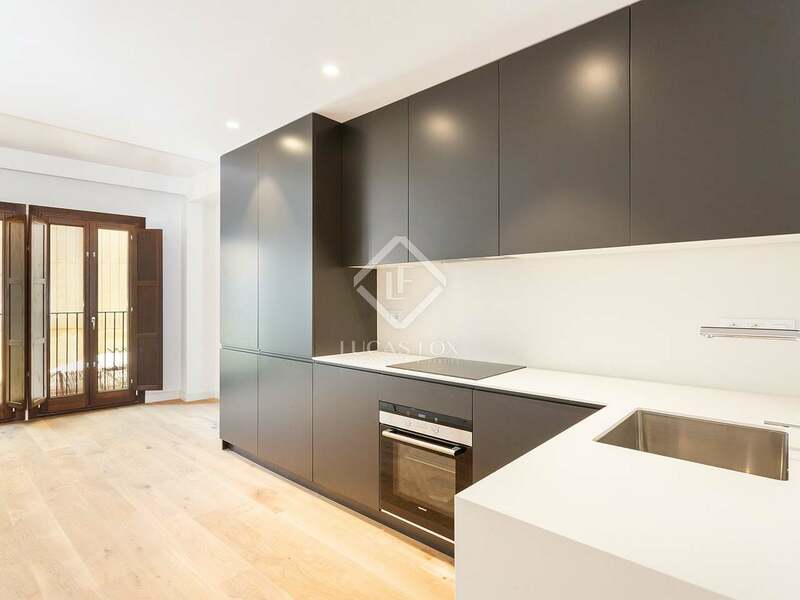 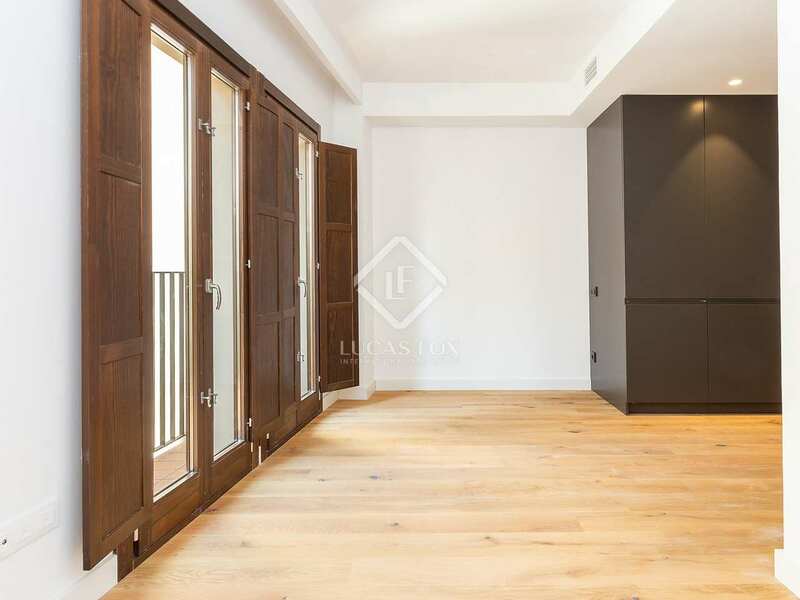 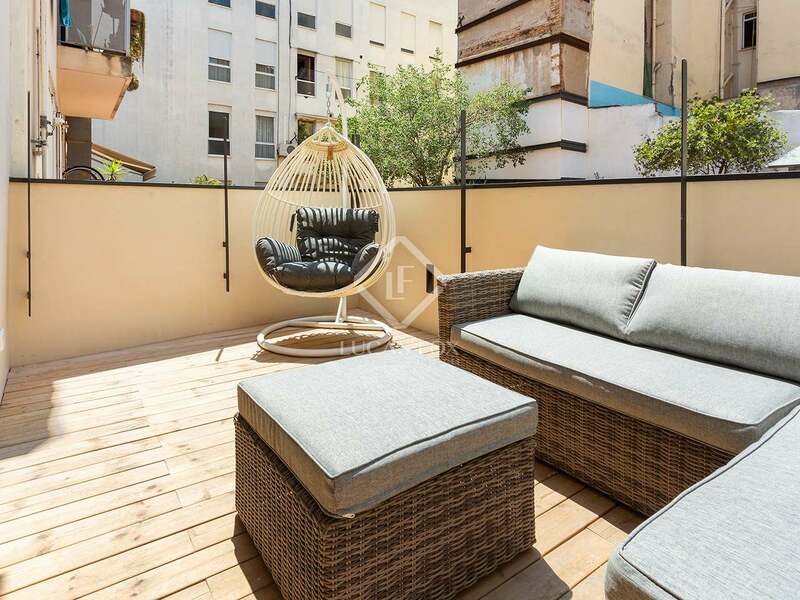 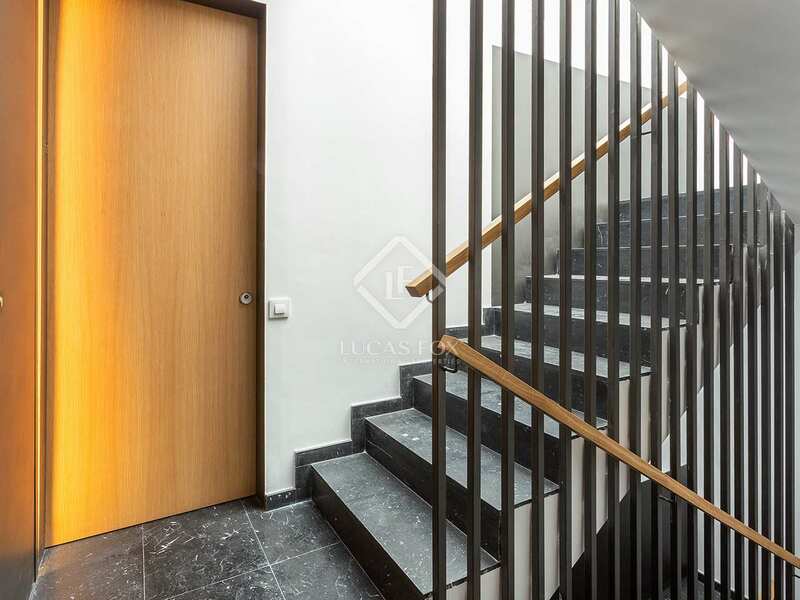 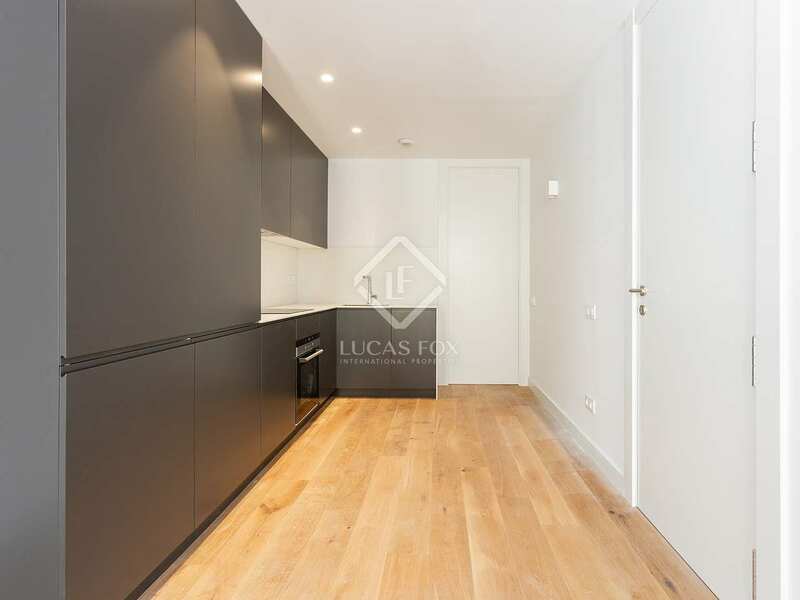 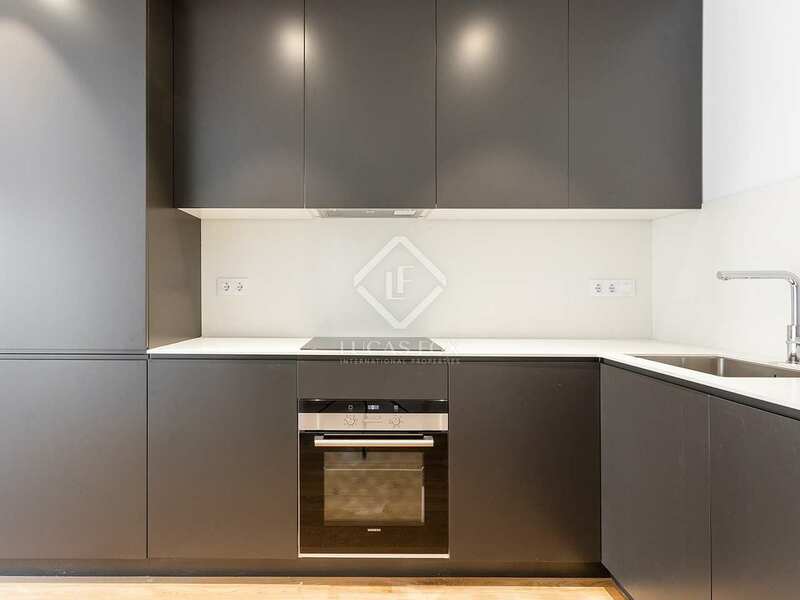 Tucked away on a peaceful sidestreet of the lively and bustling neighbourhood of El Born, it is an apartment flooded with natural light and modern finishes. 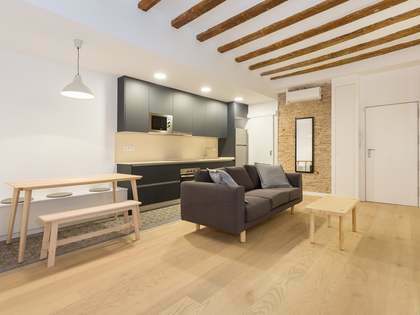 It is completely finished and move-in ready. 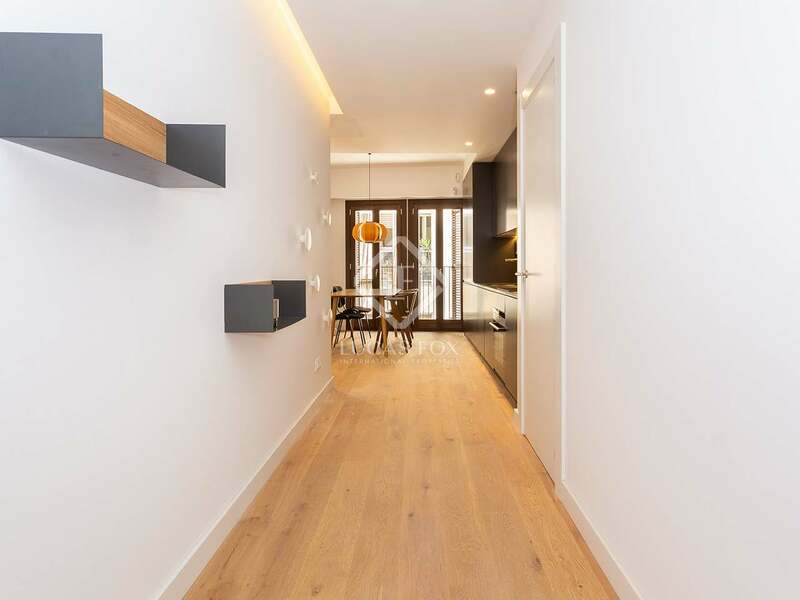 Upon entering the apartment, the space divides into two wings. 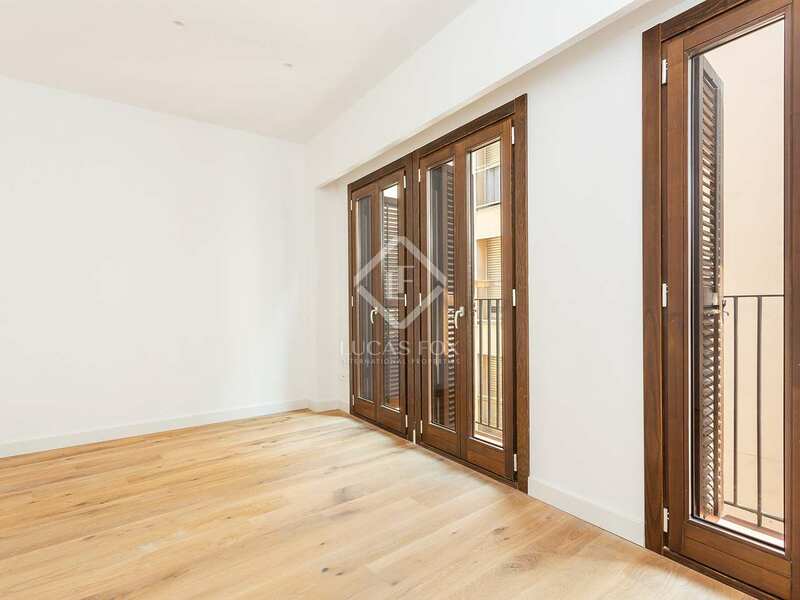 To the right is the double bedroom with wardrobes and tall, substantial wooden doors leading onto two balconies. 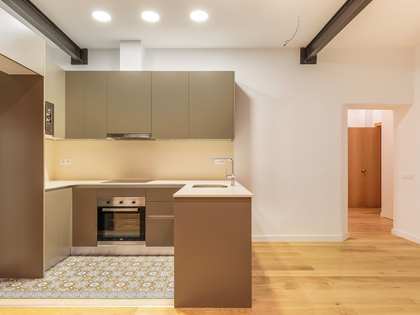 To the left is the dining and living space, connected to the fully equipped kitchen. 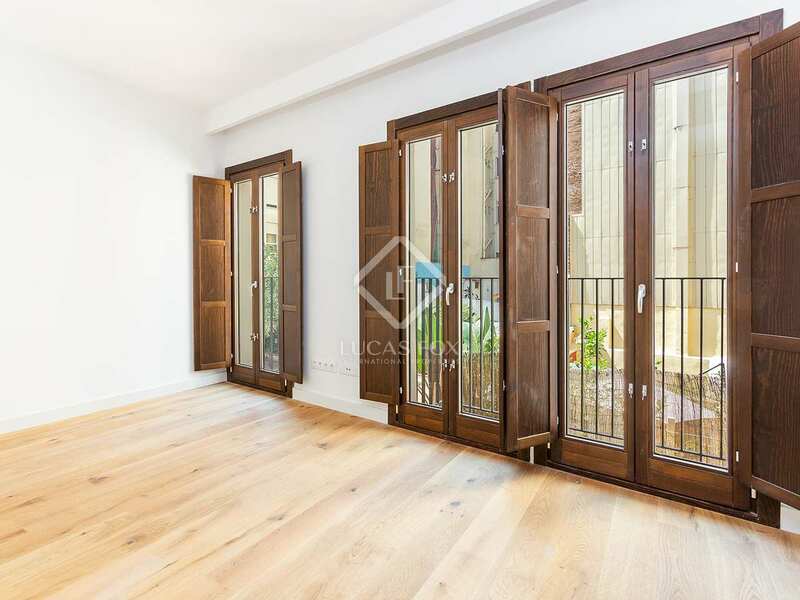 Two tall, wooden framed glass doors lead onto an additional two balconies. 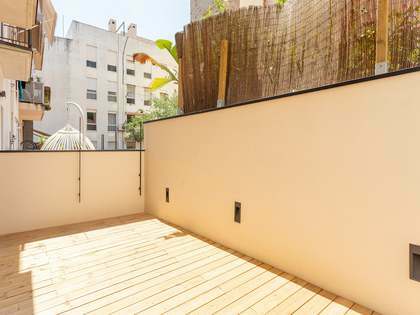 All of the rooms in the apartment have a surplus of natural light since all rooms have balcony access. 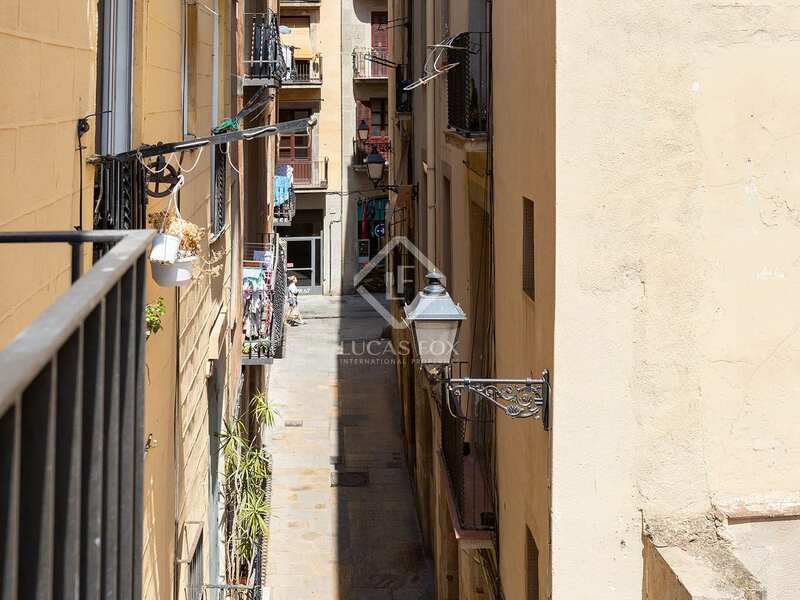 The rooms to the front of the apartment have views out to the quiet street below, and on the other side the rooms look out to a peaceful courtyard filled with sunlight. 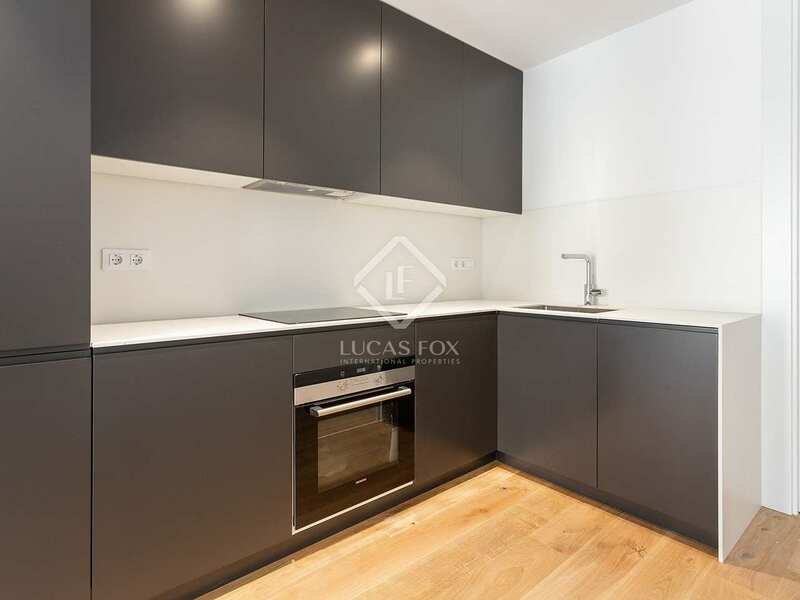 The apartment is fitted with the highest standard appliances and materials. 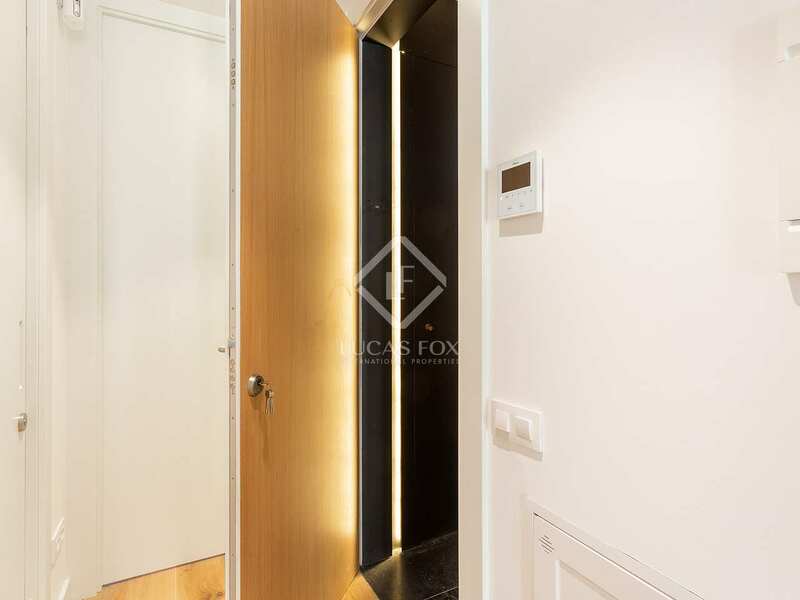 It is equipped with air conditioning, recessed lighting, a direct lift and a video intercom system for maximum comfort. A perfect opportunity for someone who wants to be in a peaceful space close to all conveniences of central city living. 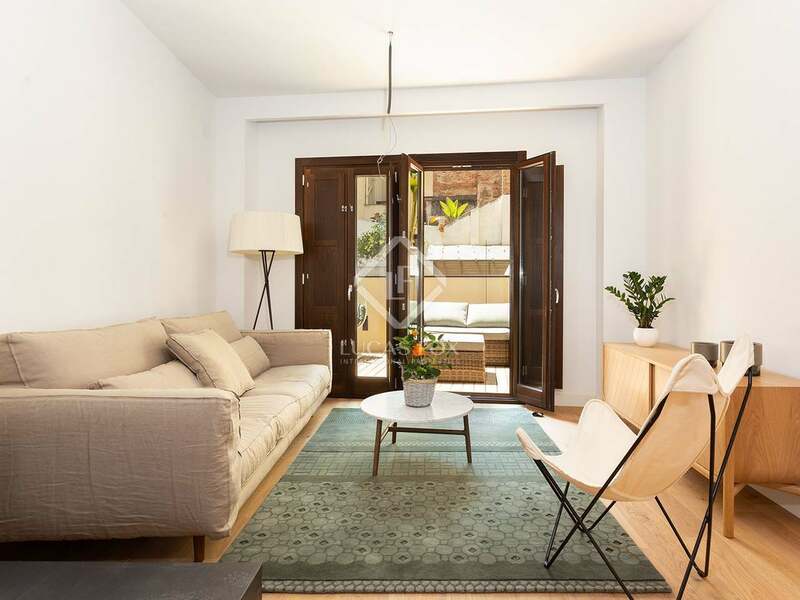 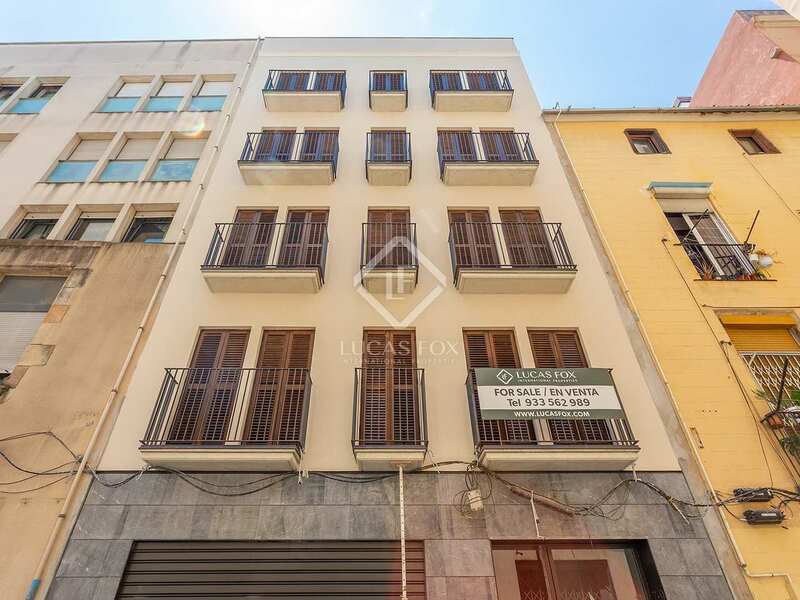 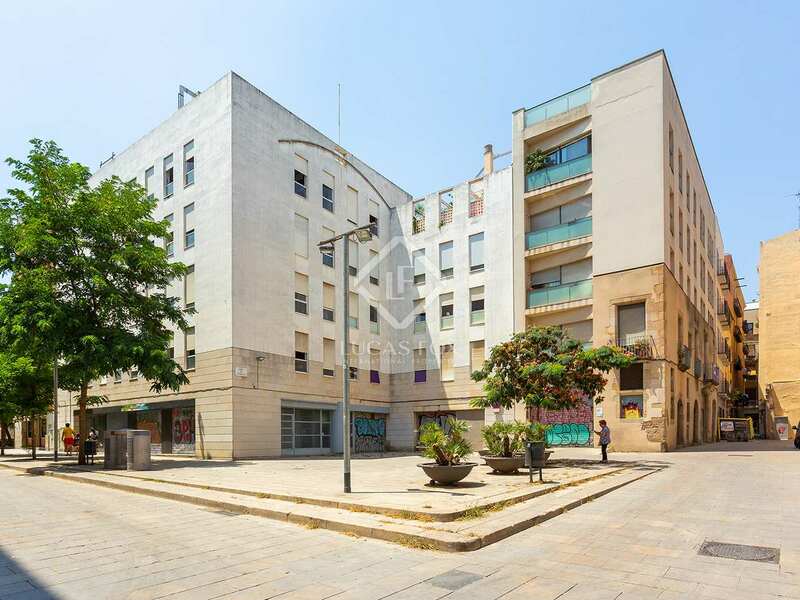 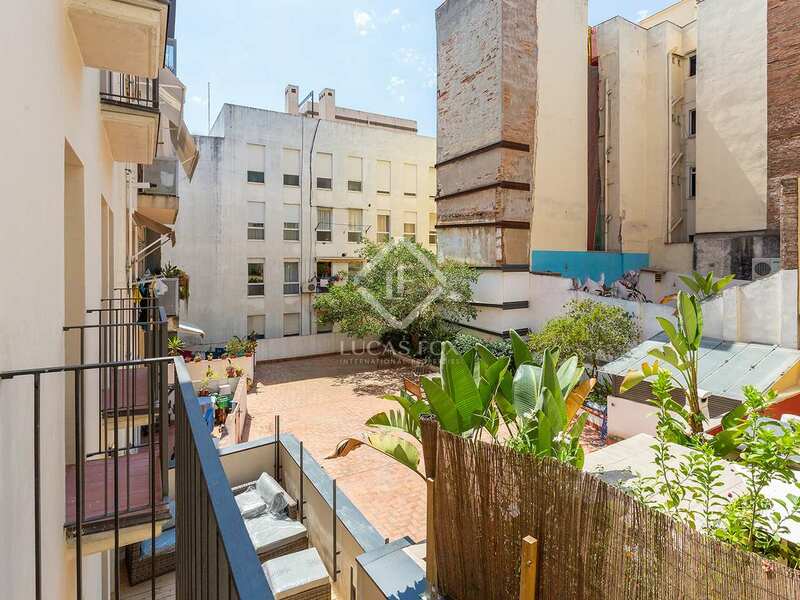 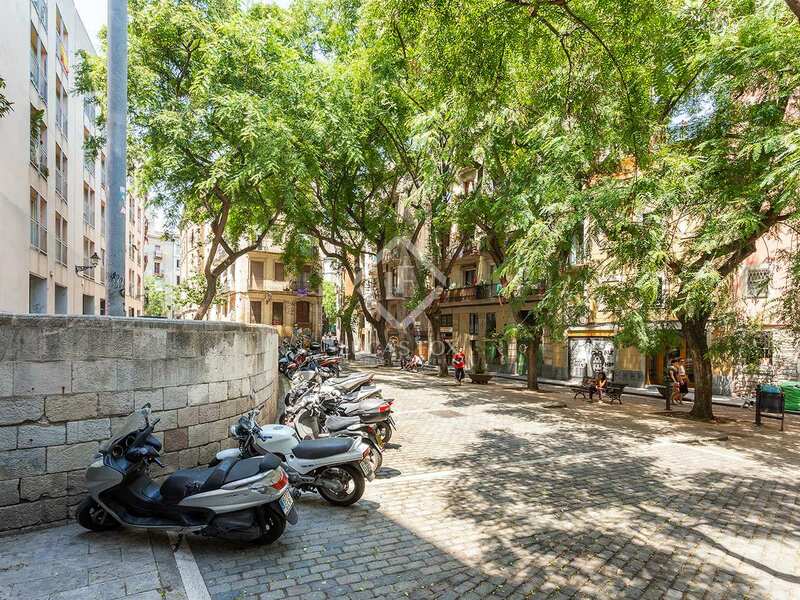 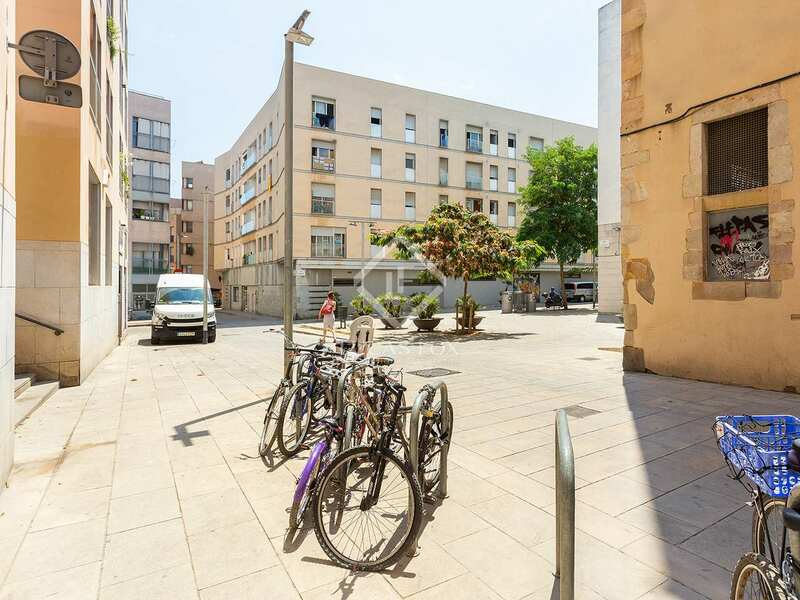 This development is located on a peaceful side street in the lively and bustling neighbourhood of El Born. 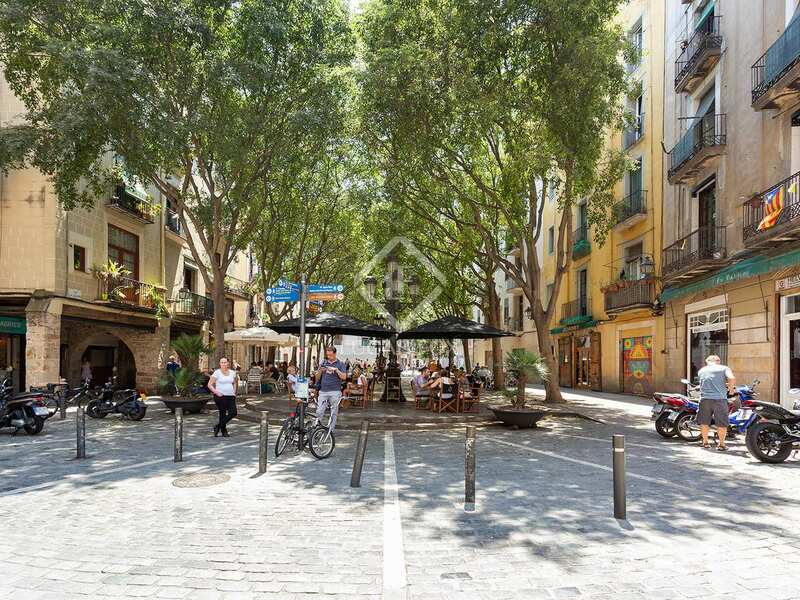 It is a pedestrian area, filled with boutique stores, a range of dining options and other independent brands. 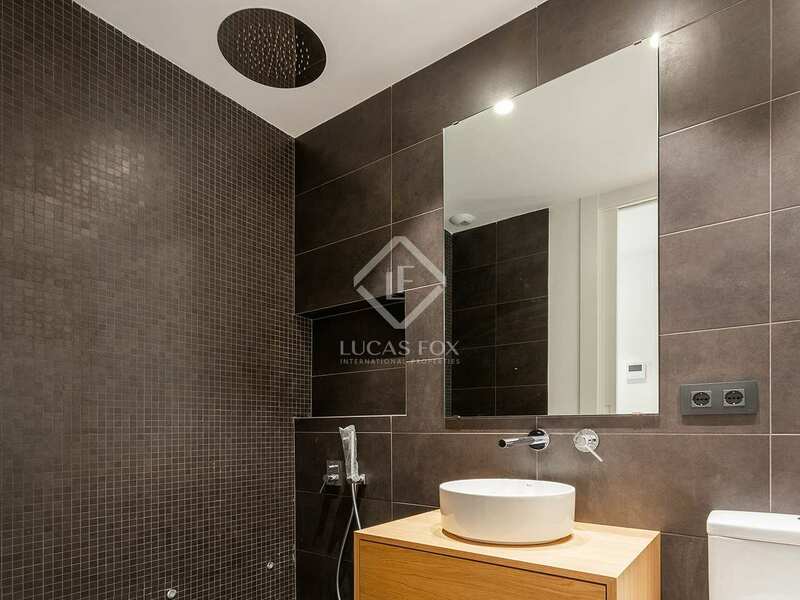 It is a 5-minutes' walk from the Arc de Triomphe and is surrounded by numerous public transportation options.